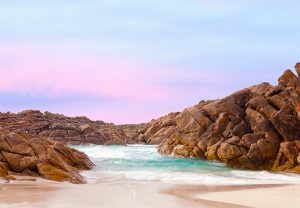 Moving to Australia: working holidaymakers could have to pay tax at 32% of their earnings starting in 2017. Moving to Australia: A government move to cut the proposed ‘backpacker’ tax from 32.5% to 10.5% was rejected by the Australian parliament this week. Now, unless Aussie politicians change their minds, it looks like working holidaymakers will be forced to pay 32.5% tax on their earnings Down Under. Australian farmers and growers are furious after the compromise 10.5% tax rate was put forward by the government, stung by criticism over their original plans to raise the tax rate to 32.5%. Farmers groups say Australian fruit and veg production will be badly hit by the new high tax rate. Farmers rely on working holidaymakers – backpackers – who make up around 10% of workers required during harvest seasons. But the number of backpackers applying for a working holiday visa has plummeted since the government announced the new 32.5% tax rate. Andrew Young, director of Industry group Fresh Markets Australia, says some growers have reported a 10 per cent fall in backpacker labour. “Supply volumes to the Central Markets will certainly be cut with hundreds of thousands of dollars’ worth of fresh produce left in the paddock if the labour is not there to pick and pack it. Michael Murray, general manager of industry group Cotton Australia, said: “The Senate appears to have abandoned common-sense in rejecting the compromise tax rate. The new rate of 10.5% voted on in the Senate must now go back to the House of Representatives and it seems unlikely the Coalition will back it. If an agreement is not reached the tax will revert to 32.5pc from January 2017.